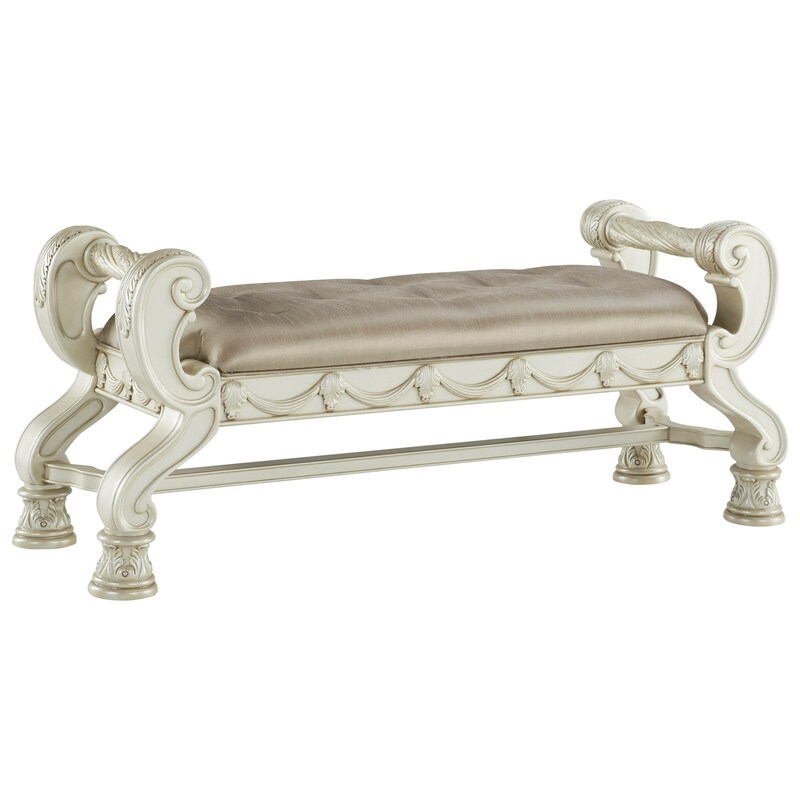 A silver finish with light glaze and ornate details give this large upholstered bench traditional appeal with a glam style update. The cushion top features gray velvet upholstery and faux crystal button tufting. The Cassimore Traditional Large Upholstered Bedroom Bench by Signature Design by Ashley at Household Furniture in the El Paso & Horizon City, TX area. Product availability may vary. Contact us for the most current availability on this product. Choose from a variety of bed styles, each with a traditional/glam design. Complete your bedroom with your choice of pieces with a Silver Pearl finish with glaze effect. Ornate detailing and faux crystal accents add classic design appeal with a bit sparkle to your master bedroom. The Cassimore collection is a great option if you are looking for furniture in the El Paso & Horizon City, TX area. Browse other items in the Cassimore collection from Household Furniture in the El Paso & Horizon City, TX area.